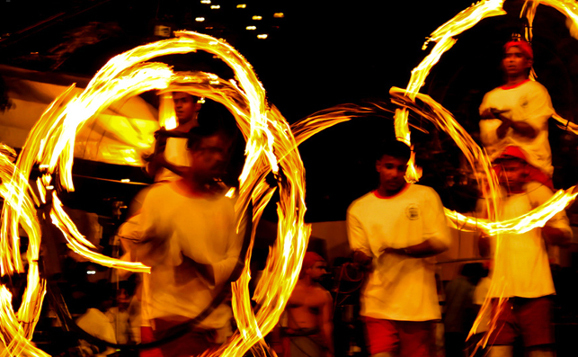 Kandy Esala Perahera is Sri Lanka’s most famous festival, commemorating the Buddha’s first teachings to his disciples. This significant event naturally translates into an absolutely unforgettable experience in Sri Lanka during the full moon in the month of August. Stroll along busy streets filled with elephants dressed in full traditional regalia, resonant music that forces your feet to start tapping, in the company of performers and acrobats by the dozen! The most important ritual of this festival, however, is a visit to the temple—Dalada Maligawa—also known as the ‘Temple of the Tooth Relic’. According to legend, after the Buddha’s cremation, one of his disciples stole a tooth from the funeral pyre. This tooth, cleverly hidden within the coiffeur of a princess, eventually made its way to Sri Lanka, where to this day it is taken out from its sanctum sanctorum once a year for a celebration in its honor. 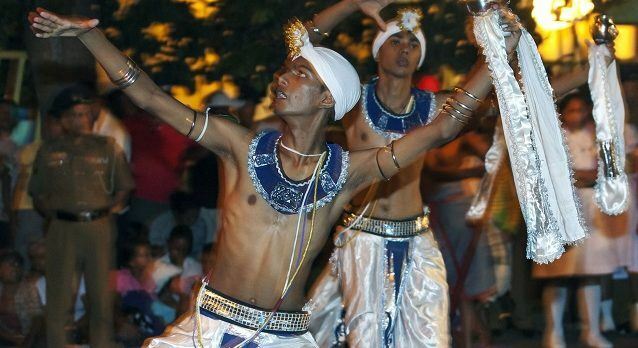 So, if you are planning to participate in this delightful Sri Lankan festival this August, here are a few tips to keep in mind to make it as amazing an experience as possible! To start with, you must familiarize yourself with the neighborhood you are going to be living in for the length of the festival. 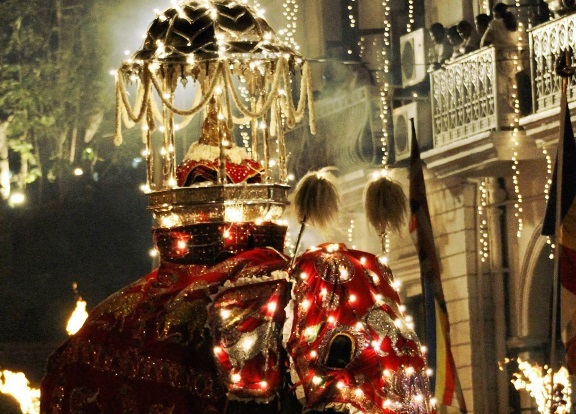 The Kandy Esala Perahera in Sri Lanka involves a fair amount of walking (it is a procession, after all!) and the last thing you need is to get lost in the middle of a crowded carnival. Talk a few leisurely walks in the days leading up to the festival so that you can find your way back to your hotel without any problems. If you are not accustomed to walking, this will be a great way to prepare yourself, because you certainly will not find any cabs once the festival begins! If you are not particularly enthusiastic about staying out for the entire length of the procession, you should get yourself a great spot with a bird’s eye view of the whole festival. This way, you can enjoy it without having to tire yourself out. Picture yourself on a sprawling terrace as the sun sets, with the traditional drum beats booming in the background as you sip your iced drink and marvel at the silk cladded elephants carrying golden caskets as they gently amble down the lanes right in front of you. There are many hotels and restaurants en route, so you can easily pick your favorite spot and just sit back and relax. While reading about Sri Lankan festivals online can mentally prepare you for the event to a fair extent, nothing beats actually sitting down with the locals and learning about the rituals and festivities from them. As is the case with most legends, everybody has their own interpretation of events. One of the most interesting experiences can be to interact with people to understand what they personally think and feel about this great Sri Lankan festival. It will be a great way to feel more connected to everything that is going on around you. If you plan on walking to all the different temples, blending in with the local crowd can help you retain a certain amount of anonymity and help you to immerse yourself into a most enjoyable experience. Getting a local costume from shops near your hotel should be a great way to begin. It will further the connection you feel with the festival and allow you to wander through the streets and lanes as freely as possible. This isn’t, of course, mandatory! The main temples of Vishnu, Natha, Kattargama, and Pattini Devales are decorated lavishly before the festivals begin. 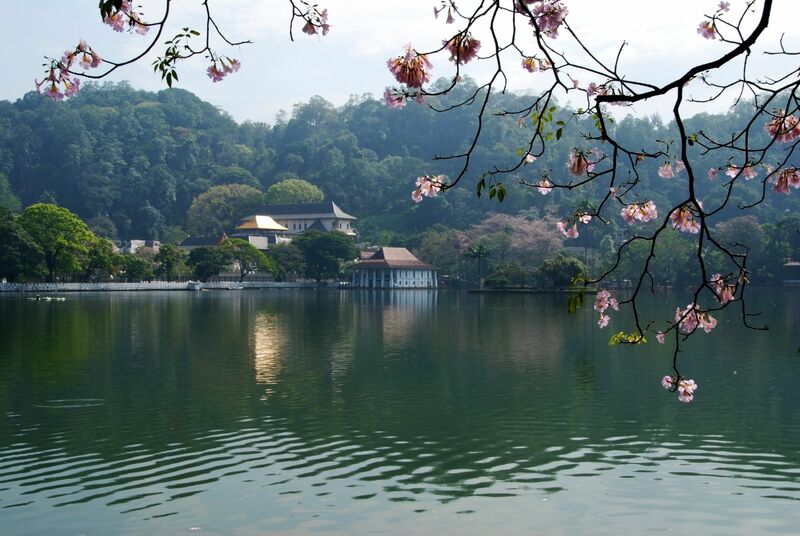 Usually, the process is also a huge cause of excitement among the local population, with pilgrims flocking to Kandy from all over the country. You must visit at least one of the temples while they are being decorated to really feel the excitement in the air before everything begins. From the moment you hear the cannons boom, signalling the beginning of the a festival, to the moment when everything returns to a state of total calm—be prepared to get wrapped up in all the frenzy that is sure to surround you. 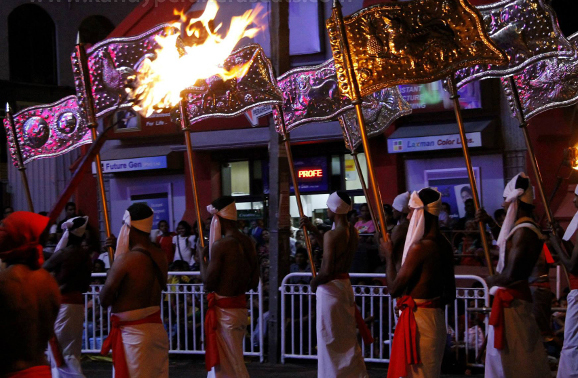 Whether you chose to enjoy the Kandy Esala Perahera from the street level or from the comfort of a luxurious balcony, these will be a set of days you will not forget easily! 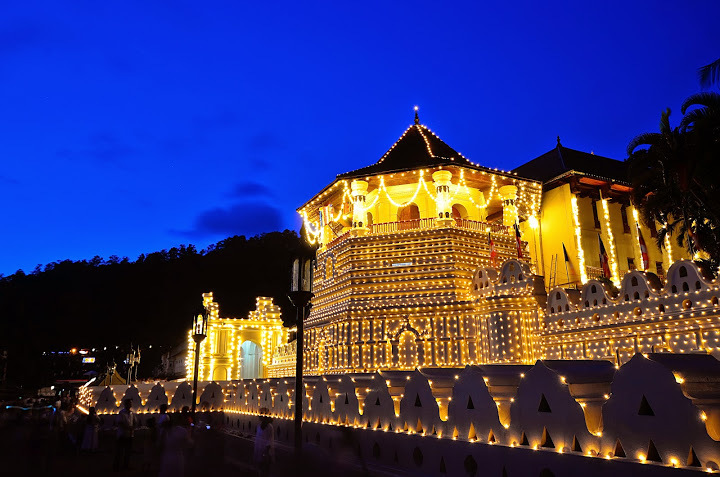 Plan your tour of Sri Lanka around Kandy Esala Perahera, which takes place between Saturday, 29 July 2017 to Tuesday, 8 August 2017. Get in touch with us for your obligation-free luxury Asia tours to Sri Lanka consultation. Sri Lanka, formerly known as Ceylon, is in Southern Asia.It is an island country in the Indian Ocean, south of India.. Understand  History . Sri Lanka has more than 2,550 years of continuous written history by means of the Mahawansha, and was also mentioned in several ancient Indian texts. Travelling Sri Lanka is an epic adventure, and joining one of our small group tours like Sri Lanka Experience is the best way to experience it. Whether you’re on a short holiday, starting a gap year or anything in between we’ll show you the best of this extraordinary country with some great new friends. Sri Lanka Travel Guide: 14 Things to Know for Your Visit. Travel Tip #1: Don’t drink the water – You shouldn’t really drink the water in Sri Lanka, so bring a reusable water bottle with a purifier. It’s really hot, so to keep hydrated, you’d probably spend 300 rupees ($2 USD) per day on plastic bottles of water at 60 rupees ($0.40 USD) each. Related Videos On: 🇱🇰 Sri Lanka Travel Guide 🇱🇰 | Travel better in SRI LANKA!